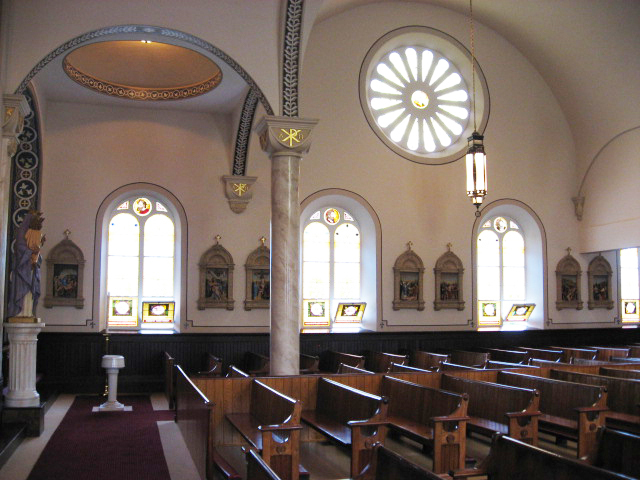 The work at St.Paul’s Church in Warren, MA was quite extensive. 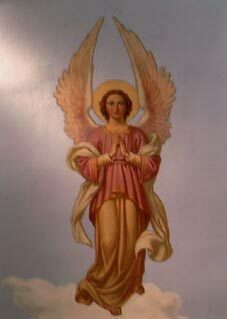 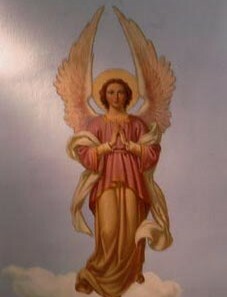 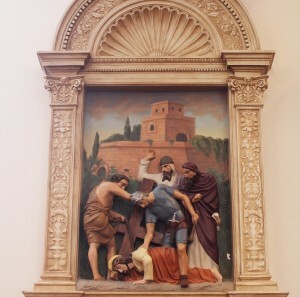 The mural in the sanctuary dome was restored, requiring the lower half of the figure of St. Paul to be recreated from scratch. 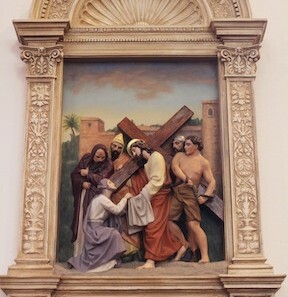 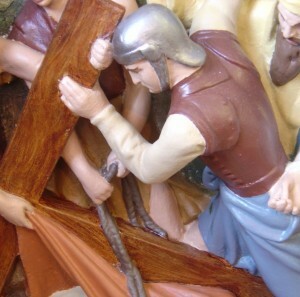 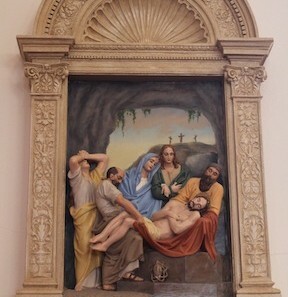 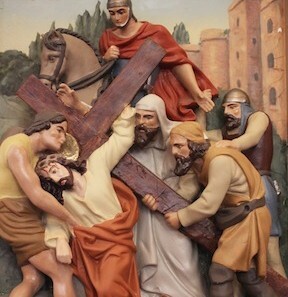 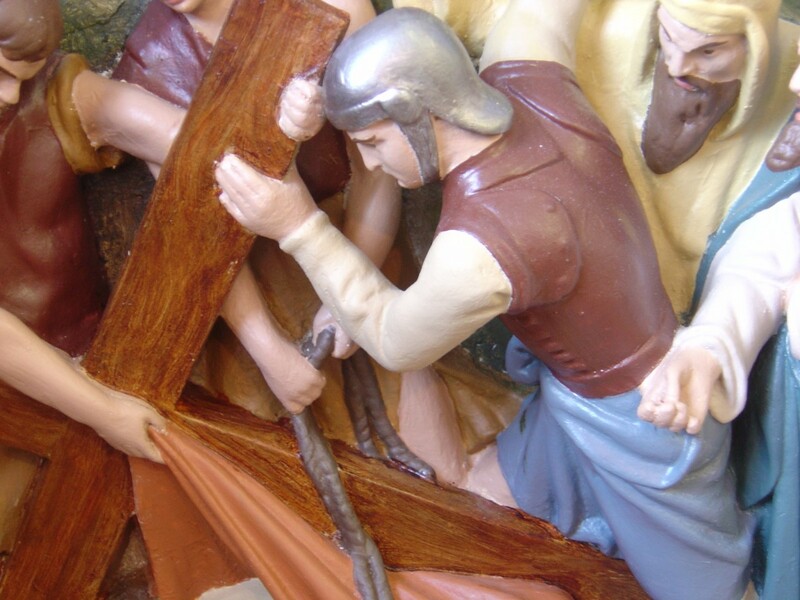 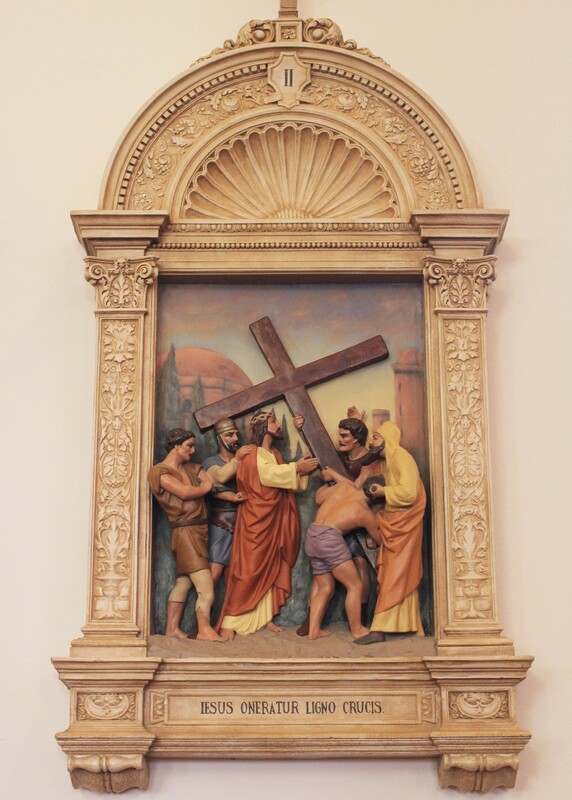 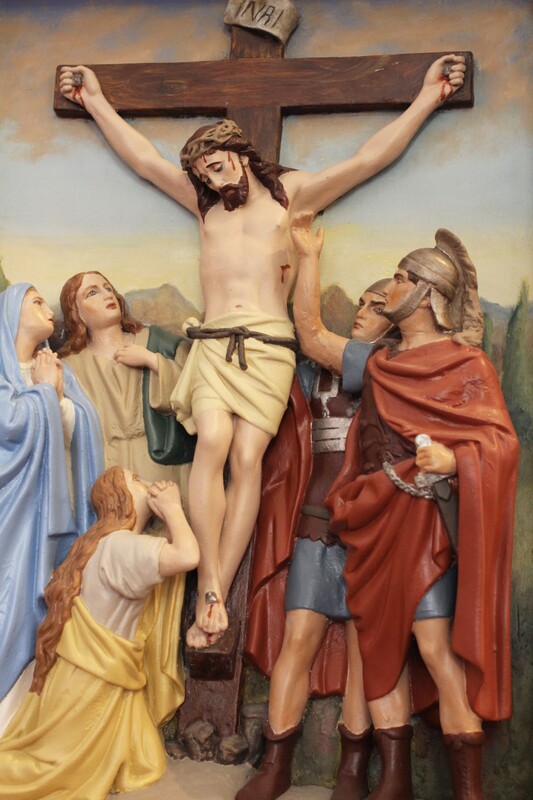 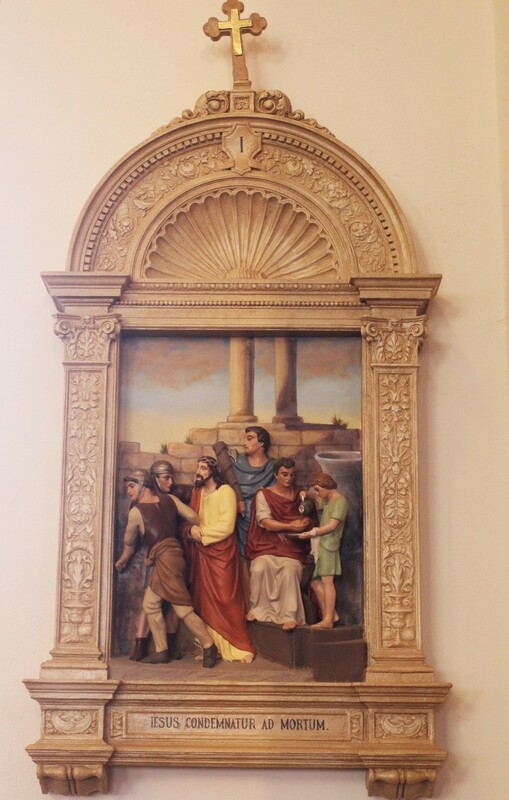 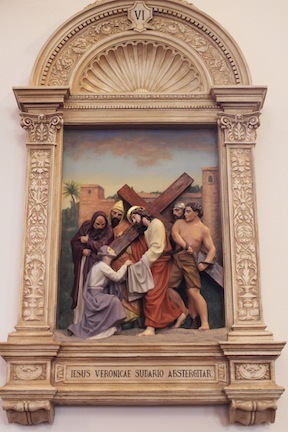 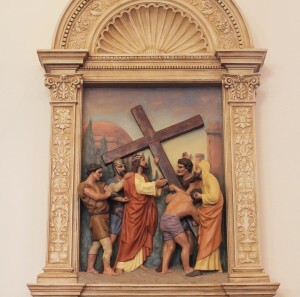 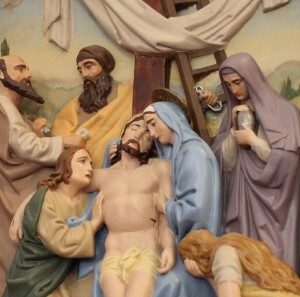 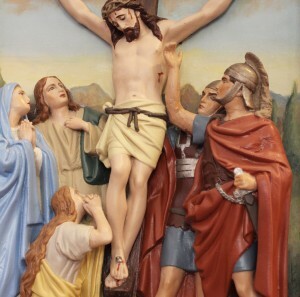 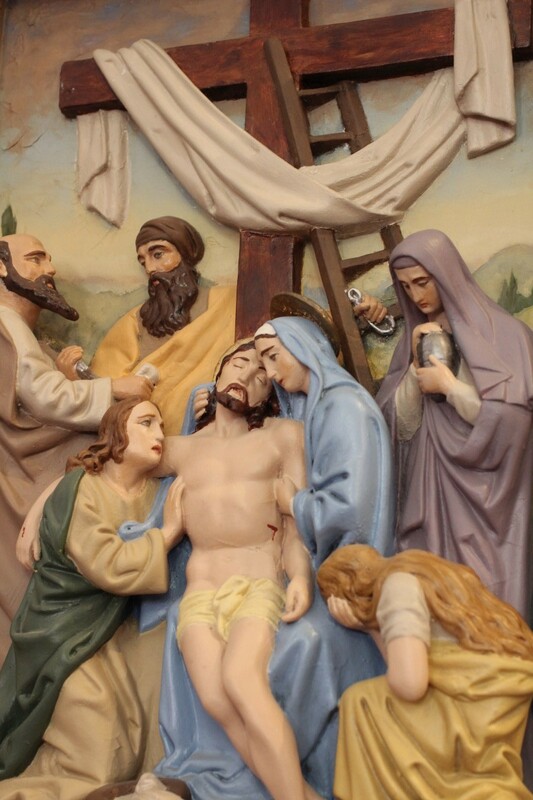 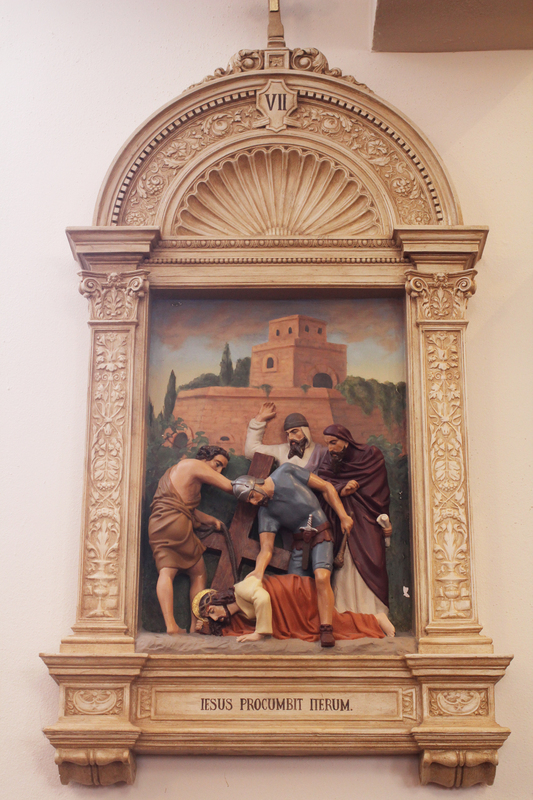 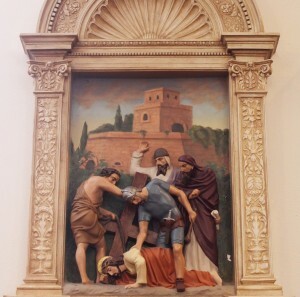 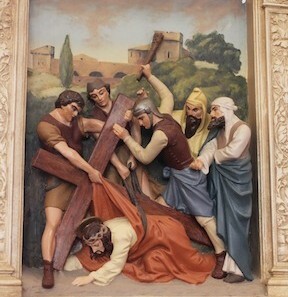 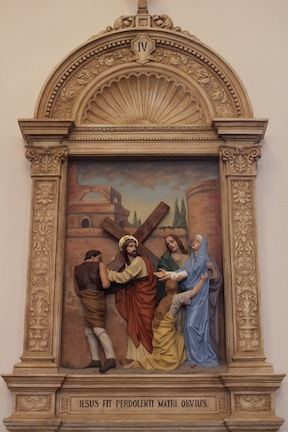 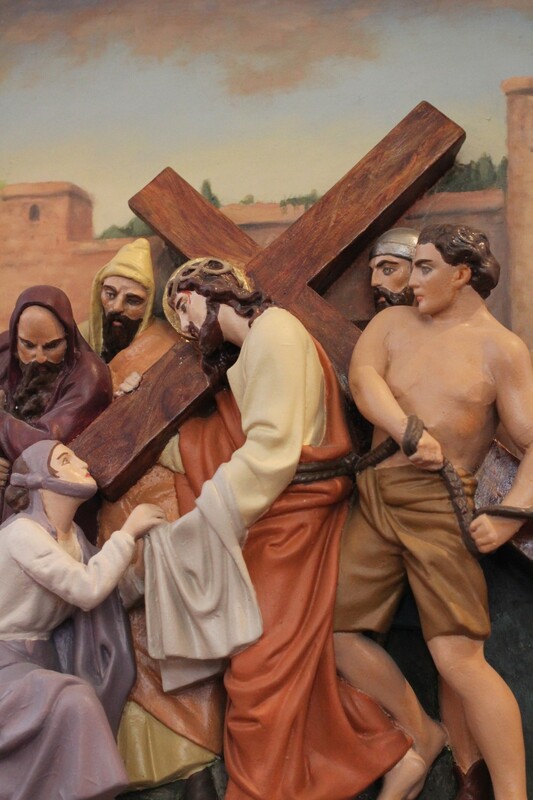 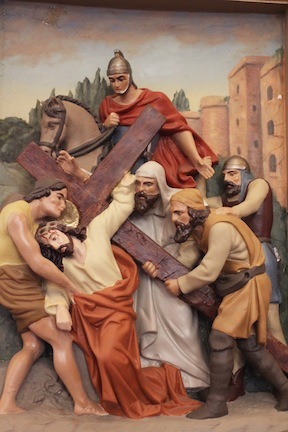 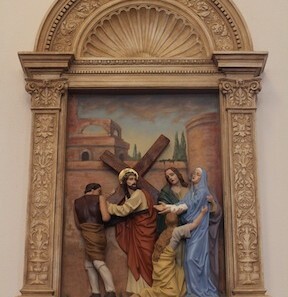 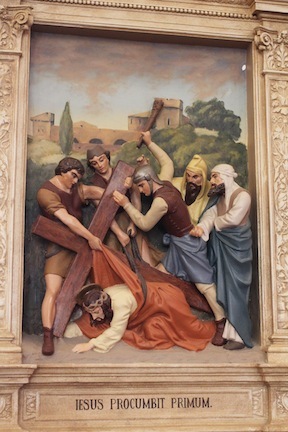 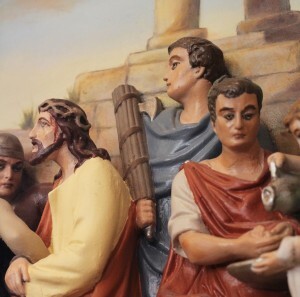 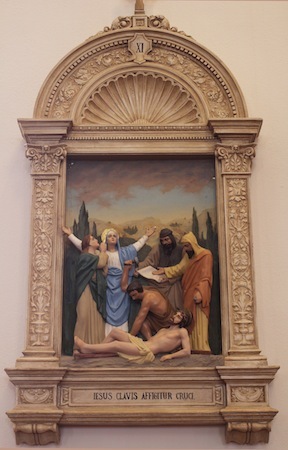 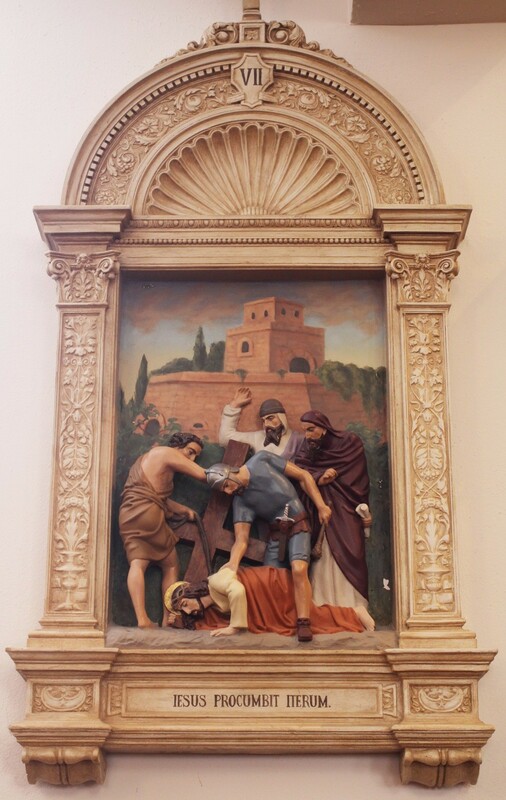 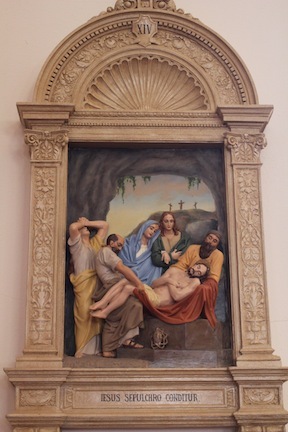 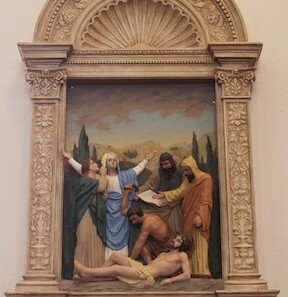 The Fourteen Stations of the Cross were severely damaged and needed plaster repair and remolding. 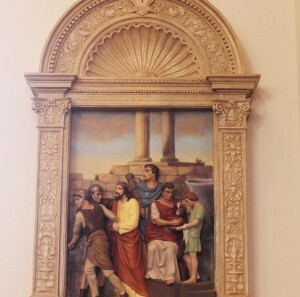 They were then painted in elaborate detail and landscapes were created to enhance each scene. 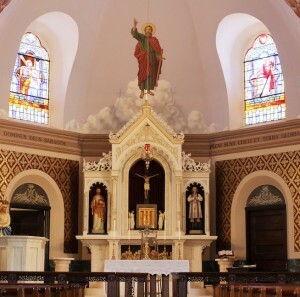 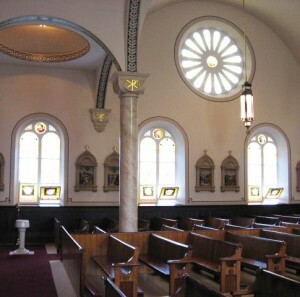 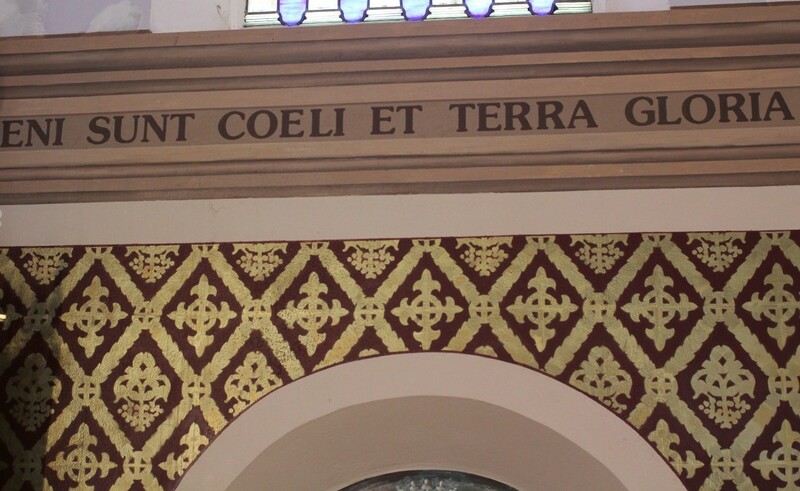 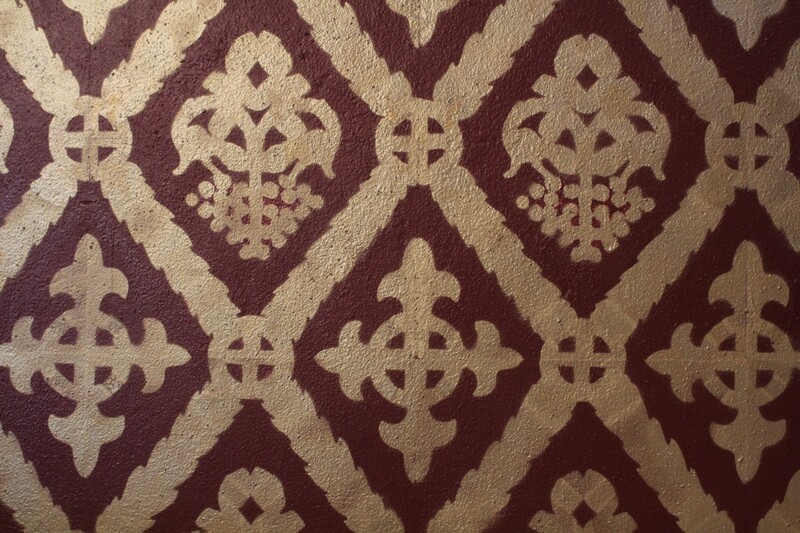 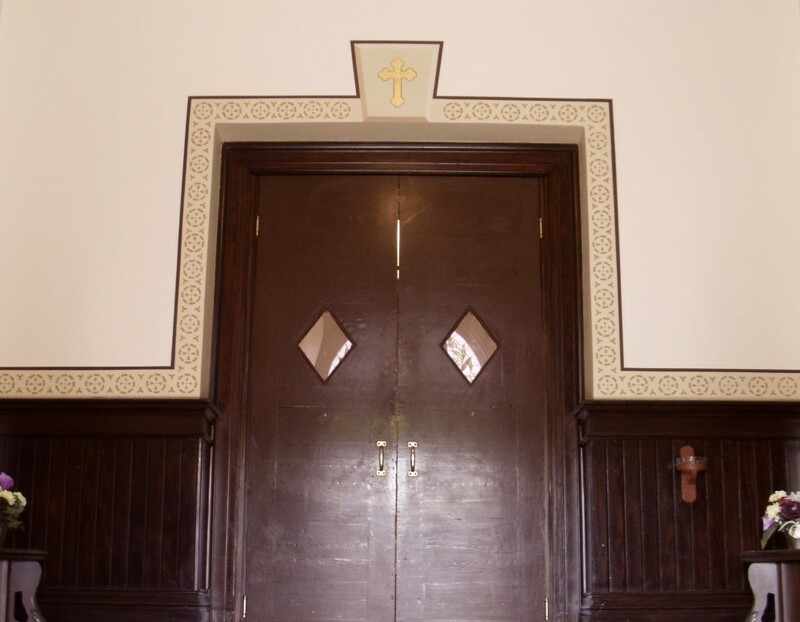 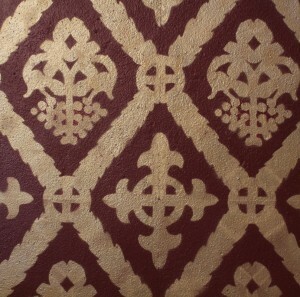 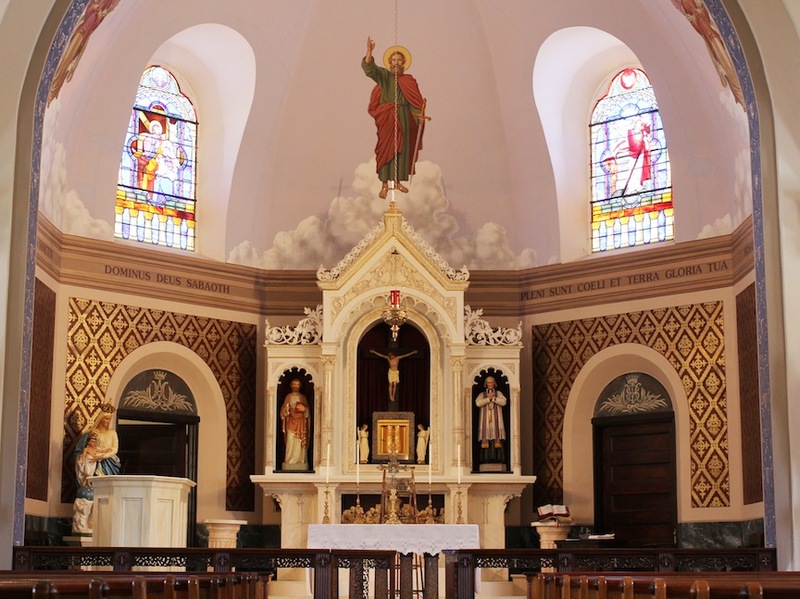 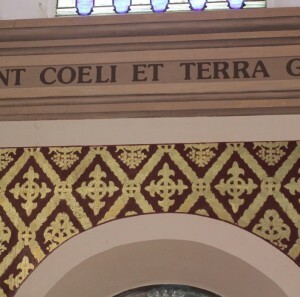 A trompe l’oeil molding with Latin text was painted across the sanctuary walls and an intricate stencil design was painted in gold beneath it. 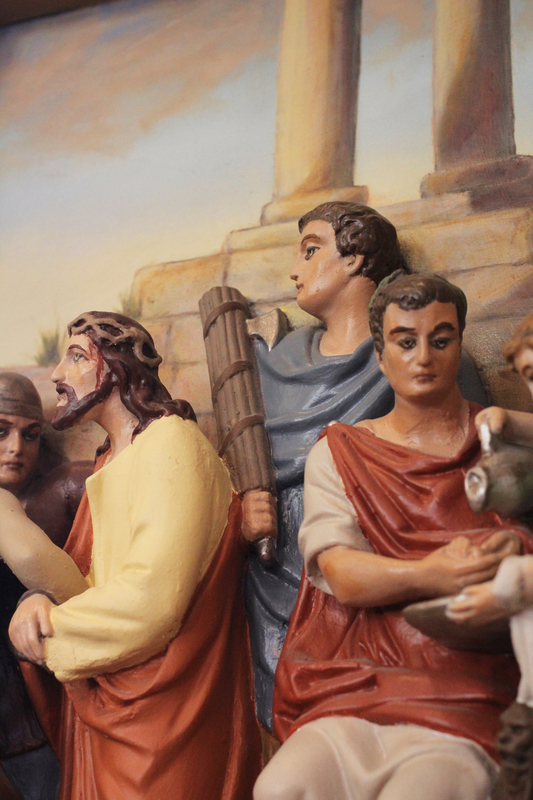 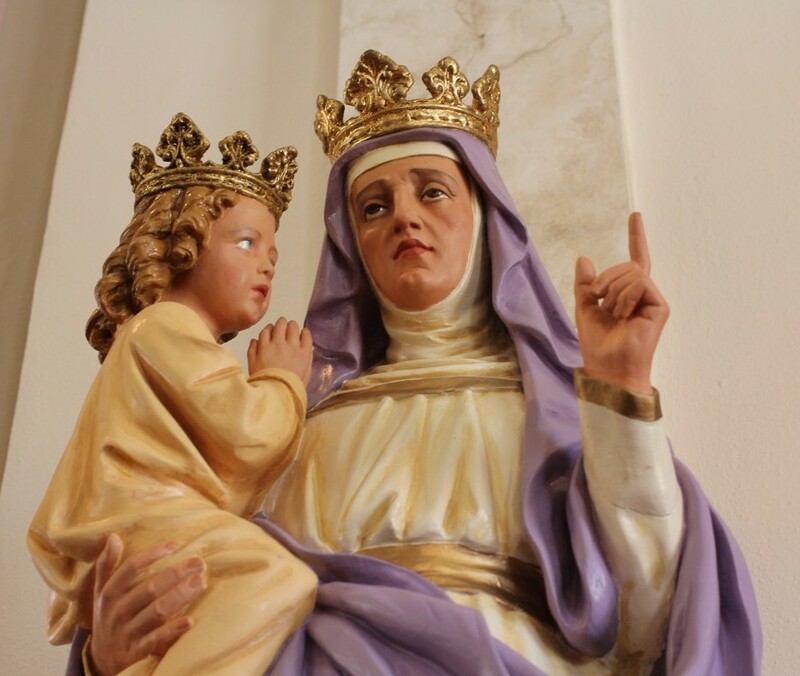 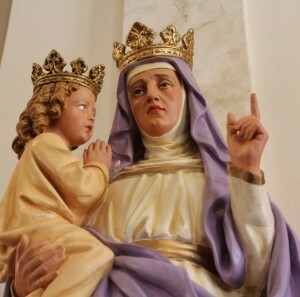 Numerous statues were restored and repainted. 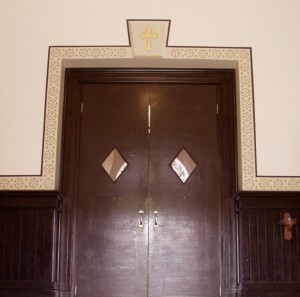 The pulpit and several other pieces in the church were marbleized and a frieze stencil was recreated and applied throughout the entire foyer. 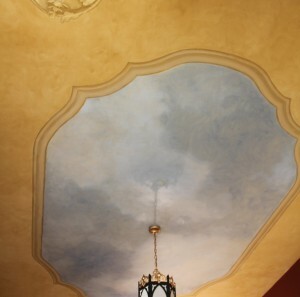 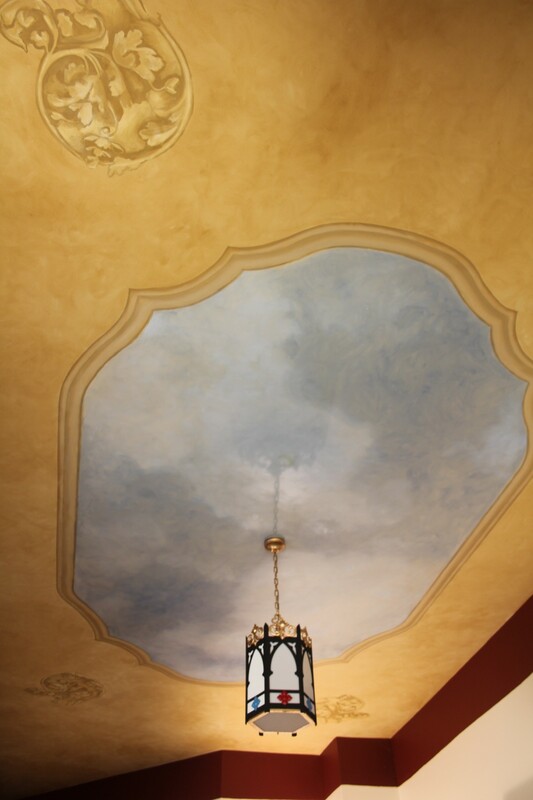 A ceiling mural was painted in the sacristy with a trompe l’oeil opening to a skyscape.